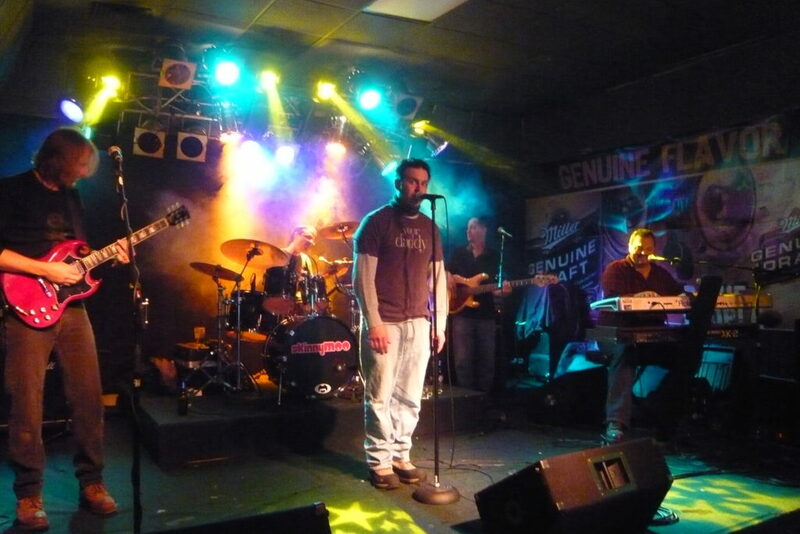 Since Skinny Moo‘s early beginnings as a blues band in 1999, the group has become one of the premier musical entertainment experiences in Cleveland. Recognized by Cleveland Magazine in their 2009 Best of Cleveland issue as one of the best cover bands in the region, Skinny Moo performs up to 50 times each year. The band has entertained capacity crowds at a wide variety of venues and festivals including the Rock and Roll Hall of Fame, the Cleveland Grand Prix, and Quicken Loans Arena. Skinny Moo has appeared live on the Fox 8 Morning Show on numerous occasions, and has become a favorite of both viewers and on-air personalities. Audiences of all ages (and fans of all musical styles) respond to the chemistry of this group of seasoned musicians, who have been close friends for years, and have played in a “who’s who” of local and regional groups. People can’t get enough of the energetic delivery of songs that span the entire spectrum of musical styles and eras: ’60s soul and ’70s funk to ’80s pop, ’90s rock, and current songs. Jay has performed with vocal groups including the All Ohio State Fair Choir and the original project Just Bob. He has performed the National Anthem for professional sporting events and many civic organizations. Jay’s unique, powerful vocal abilities and showmanship are a crucial part of the Skinny Moo experience. Charley has studied and performed music for over twenty-five years. He has performed and recorded with numerous bands in the region: The Janglers, Anne E. Dechant, 77 South & the Interstate Horns, DC Jazz Trio, Princess Lydia & The Blue Knights, Zach and many others. His most memorable moment was performing at the grand opening of the Rock & Roll Hall of Fame. Mike has been playing bass for over 20 years and has performed with many acts including, Rock and Roll Express, Anne E. Dechant, The Simpletons, Frank Camp, Zach and Akron-based band Sutra. He Is also currently a member of Ray Fogg and The Swinging Lesbian Frogs. Jeff has been performing for over 20 years in various original and cover projects such as Big Machine, Hammered, S.O.S., SEVEN and recently Bonfire as the “Angus”. Jeff also has recorded his own solo CD as well as songs with the Goth act Nox Arcana. Scott has performed and/or recorded with regional groups including the Foonspeeders, Thomas Reed Smith, the Tony Lang Band, Brent Kirby and One Way Home, David Magdalene, Robin Stone, Alexis Antes, Will Bowen and others. He has lent his voice and keyboard skills to the Cleveland Cavaliers QTV for multiple in-game videos.